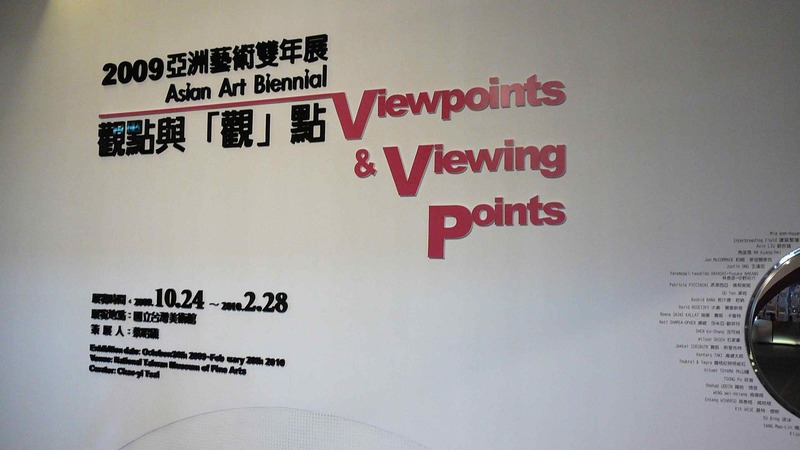 Kate Nicholson, a Taiwan-based contributor to Art Radar Asia, writes about her favourite picks from Viewpoints and Viewing Points , the 2009 Asian Art Biennale exhibition, currently on show at the National Taiwan Museum of Fine Arts. “It was just wonderful to start my day knowing that I would soon be surrounded by artwork spanning three galleries, created by 56 of Asia’s best artists. And what a show it was. Every sense was stimulated as there was every kind of art form on display, from painting and sculpture to film and photography and everything in between. My favourite pieces, in no particular order, included: Takehito Koganezawa’s Propagation of Electric Current, all the works by Mia Wen-Hsuan Liu, a Taiwanese artist, and Bloated City and Skinny Language by Hung Keung. Read the complete article at Kate Nicholson’s blog, jar of buttons.